· That human will assumed into the divine “I” of the Logos is burdened with all sin: “he made him to be sin who knew nothing of sin, so that we might become the justice of God” (2 Cor. 5, 21). · The divine “I” subdues the disobedience in Himself (i.e. in His human will). As God-man, He is the Prototype of man. · He makes Himself Gift to the Father using the human will that is prototypical of every human will derived from Adam that was once in rebellious disobedience, and now – in Christ - is total obedience even to death on the Cross. If Jesus Christ redeems us in His very Self, then we are co-redeemers insofar as we are Christ Himself. St. Josemaria affirms that during Mass on August 7 he heard the words: "And I, when I am lifted up from the earth, will draw all things to myself" and "You are my son (Psalm 2, 7), you are Christ." With regard to the first, Escriva commented years later that he understood Christ saying those words "not in the sense in which in which Scripture says them. I say [them] to you in the sense that you are to raise me up in all human activities, in the sense that all over the world there should be Christians with a personal and most free dedication, that they be other Christs." · The Sacrifice of the Mass: If the redemptive act is the divine “I” mastering His human will and making the gift of Himself on the Cross, this act is the prototype and summation of all His acts and the meaning of all work. And it is this very same act which is the Sacrifice of the Mass. Calvary is the work of Christ, and the Mass is the prototypical meaning of work. Hence, Christian anthropology, the “priestly soul” and the anthropology of work as self-mastery, self-possession, self-gift are all the same. Ascetically at the moment of Mass, Escriva found himself often exhausted and was not able to finish. To see this dynamically, see Francis’ “Joy of Evangelizing,” Chapter III #110 - #185. The point is to speak Christ, one must become Christ the Word. The kerygma: Christ has risen, Christ lives, Christ loves you, Christ is with you… “must ring out over and over…. (I)t is the principal proclamation, the one which we must hear again and again in different ways, the one which we must announce one way or another throughout the process of catechesis, at every level and moment.” EG #164. Priest: As seen above in the structure of the redemptive act, Christ mediates between Himself (as One of us and all material creation [the extension of His humanity]), and the Father on the Cross, (which is the Mass). That is, Christ – the divine “I” - mediates between Himself (His human will and total humanity and the entire material universe) and the Father for us. This is the meaning of priesthood in Christ, and as God-man, it is the central act of the universe. And we are baptized into this priesthood (which is the redemptive act), and therefore, we are co-redeemers. Consider “priestly soul” as this mediation in everything we do, and the “lay mentality” of the freedom by mastering self. Our Need to be Redeemed: Deep Cause: sin, and the turning back on self. If we are not affirmed (i.e. positively related to), we have no experience of being persons – and since God alone is “good” as person(s), we do not experience being good. This is not the consciousness of “goodness,” but being “good.” Goodness is the intrinsic, essential, constitutive meaning of being. Only God is “good.” And we are “good” insofar as we image the divine Person of the Son. And that imaging is the very way in which we are made. Genesis 1, 26 says: “let us make mankind in our image and likeness.” And John Paul II writes: “God creates by the power of his word: ‘Let there be…!’ [Gen. 1, 26]. Significantly, in the creation of man this word of God is followed by these other words: “Let us make man in our image, after our likeness’ Gen. 1, 26). Before creating man, the Creator withdraws as it were into himself, in order to seek the pattern and inspiration in the mystery of his Being, which is already here disclosed as the divine ‘We.’ From this mystery the human being comes forth by an act of creation: ‘God created man in his own image, in the image of God he created him,; male and female he created them’ (Gen. 1, 27). The Sickness: a Church that is trapped in herself: “the biggest threat of all… ‘the gray pragmatism of the daily life of the Church, in which all appears to proceed normally, while in reality faith is wearing down and degenerating into small-mindedness.’ A tomb psychology thus develops and slowly transforms Christians into mummies in a museum. Disillusioned with reality, with the Church and with themselves, they experience a constant temptation to cling to a faint melancholy, lacking in hope, which seizes the heart like ‘the most precious of the devil’s potions’” (Bernanos, “Diary of a Country Priest”). Profile of Modernity: a rationalistic, objectifying, controlling, rule based individualism that warehouses the aged (mothballs in their pockets) which pervades the Western culture in which we all live, move and have our being. “Unaffirmed persons can be said to have been born only once; their second or psychological birth never took place (or, since it is a protracted process, was never complete). They were not made to know and feel their own goodness, worth and identity. They have been thrown back upon themselves by denial on the part of significant others in their life. They are like prisoners – locked in, lonely, and self-centered – waiting for someone to come and open the door of their prison, waiting to be opened to their own goodness and that of others. No measure of success in business, profession or otherwise can adequately compensate for their feelings of inferiority, inadequacy, uncertainty and insecurity. Both the married life and the celibate life accentuate the fundamental loneliness of these persons and their inability to relate to others as equals. Their spiritual life suffers as time goes on, and their basically joyless way of life changes more and more to a state of depression until death seems the only way out. The Redemption of Helen Keller by Ann Sullivan: “One day, while I was playing with my new doll, Miss Sullivan put my big rag doll into my lap also, spelled "d-o-l-l" and tried to make me understand that "d-o-l-l" applied to both. Earlier in the day we had had a tussle over the words "m-u-g" and "w-a-t-e-r."
“Miss Sullivan had tried to impress it upon me that "m-u-g" is mug and that "w-a-t-e-r" is water, but I persisted in confounding the two. In despair she had dropped the subject for the time, only to renew it at the first opportunity. I became impatient at her repeated attempts and, seizing the new doll, I dashed it upon the floor. I was keenly delighted when I felt the fragments of the broken doll at my feet. Neither sorrow nor regret followed my passionate outburst. I had not loved the doll. In the still, dark world in which I lived there was no strong sentiment or tenderness. I felt my teacher sweep the fragments to one side of the hearth, and I had a sense of satisfaction that the cause of my discomfort was removed. She brought me my hat, and I knew I was going out into the warm sunshine. This thought, if a wordless sensation may be called a thought, made me hop and skip with pleasure. “We walked down the path to the well-house, attracted by the fragrance of the honeysuckle with which it was covered. Someone was drawing water and my teacher placed my hand under the spout. As the cool stream gushed over one hand she spelled into the other the word water, first slowly, then rapidly. I stood still, my whole attention fixed upon the motions of her fingers. Suddenly I felt a misty consciousness as of something forgotten--a thrill of returning thought; and somehow the mystery of language was revealed to me. I knew then that "w-a-t-e-r" meant the wonderful cool something that was flowing over my hand. That living word awakened my soul, gave it light, hope, joy, set it free! There were barriers still, it is true, but barriers that could in time be swept away. St. Josemaria Escriva, “Father:” “Genuit filios and filias.” His mission is to engender sons and daughters as laity and priests to make the gift of self forming a communio personarum. 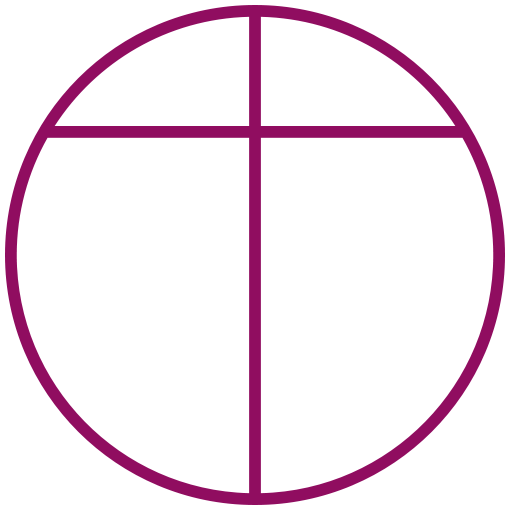 That “communio” must be the unum of the communio priests serving laity and laity affirming priests that is the “little bit of the Church” that Opus Dei is. Without his love, and that of all the Prelates, the gift of self would not be able to take place. Redemption: “Before his conversion, Paul had not been a man distant from God and from his Law. On the contrary, he had been observant, with an observance faithful to the point of fanaticism. In the light of the encounter with Christ, however, he understood that with this he had sought to build up himself and his own justice, and that with all this justice he had lived for himself. But Christ has risen! Let this be the background understanding of the cultural situation we are in at the present time where we are mired in a solipsistic individualism – a technological loneliness – where we speak and connect with each other through various layers of media, desperately alone and with only morality to save us. This is the target of Pope Francis who is calling us to the transcendence of sanctity and the courage of the adventure to announce the risen and ascended Christ Who is at our side: Mane nobiscum Domine! Maranatha! Let’s go! Ratzinger explains that the redemption of humanity takes place immediately in the assumption of the human nature of Jesus of Nazareth into the divine Person of the Son. He writes that “human nature, the humanity in which we all share, has entered into the inner life of God in a new and hitherto unheard of way. It means that man has found an everlasting place in God. Heaven is not a place beyond the stars, but something much greater, something that requires far more audacity to assert: Heaven means that man now has a place in God… Thus Jesus himself is what we call ‘heaven;’ heaven is not a place but a person, the person of him in whom God and man are forever and, inseparably one. And we go to heaven and enter into heaven to the extent that we go to Jesus Christ and enter into him. In this sense, ‘ascension into heaven’ can be something that takes place in our everyday lives.” This explains why the disciples returned to Jerusalem “with great joy.” They could not rejoice if the Ascension had been a departure from “life.” “No, in their eyes the Ascension and the Resurrection were one and the same event. This event gave them the certainty that the crucified Jesus was alive; that he had overcome death, which cuts man off from God, the Living One; and that the door to eternal life was henceforth forever open,” and that His return had already begun. Thus the kerygma: He lives! And this revamps the entire present understanding of eschatology as an absence of Christ now awaiting the Second Coming, a secularism in which God is dead. Rather Christ, resurrected and ascended, is present in each baptized person as called to be “ipse Christus,” now. Christ is present in this world right now (besides sacramentally as Eucharist) in you and me. This understanding puts us squarely into the mindset and soulset of pope Francis who is calling us out of “self-referentiality” to go to the “peripheries.” The “order” of life is Christ, the pre-existent and eternal prototype of the human person, who is present to us now, not extrinsically and externally, but intrinsically and internally as our very selves, and who we continue to become by going out of ourselves. Truth is person, the moral law is self-transcendence, the attitude is joy, the order is free and seemingly chaotic, secular and autonomous. But somehow it “works” like a gigantic rock with immense excresences balancing on a pin-point. It demands another epistemological horizon to be glimpsed, that of the subject “I” in motion, and not reducible to an orderly mechanistic and objective symmetry. It is all coming to fulfill what Escriva heard on that 7th of August of 1931, the text of Jn. 12, 32: “When I am lifted up from the earth, I will draw all things to myself,” but not in the sense that He will draw us out of the world. Rather, it was given to Escriva to understand that the promise to Abraham would be fulfilled in that the sons and daughters of his faith would be as numerous as the stars of the heavens and the sand of the beach; that they would be obedient to death, and therefore, “other Christs, Christ Himself,” and the kingdom of God, thus, a reality. Thus the seal given to him on that 14th of February of 1943: Christ Crucified within the world. This sentence is the whole of the theology of redemption. J. Ratzinger, “Journey to Easter,” Crossroad (1987) 101-102. J. Coverdale, “Uncommon Faith,” Scepter (2002) 93. J. Ratzinger, “The Spiritual Basis and Ecclesial Identity of Theology,” The Nature and Missiopn of Theology Ignatius (1995) 50-55. J. Ratzinger, “introduction to Christianity,” Ignatius (1990) 137. And our Father’s understanding of the Jn. 12, 32: “When I am lifted up…,” i.e. to put Christ at the summit of all human work and human doing. That is, one becomes more self as one goes out of self on the occasion of work and the effect that this has on work itself. The process of becoming more oneself = becoming more Christ, since we are made in His image and likeness. This is the import of GS #24. John Paul II, “Laborem Exercens,” #6. K. Wojtyla “The Personal Structure of Self-Determination,” Person and Community Lang (1993) 191-192. Ambrogetti and Rubin, “Pope Francis, His Life in His Own Words,” Putnam (2010) 15-16. J. Ratzinger, “Principles of Catholic Theology,” Ignatius (1987) 79-80. This thought is taken from Joseph Pieper’s “Faith , Hope, Love,” Ignatius (1997) 207 et seq. “No one is good but only God,” Mk. 10, 18. Pre-conclave speech (March 12, 2013). C. Baars, “I Will Give Them a New Heart” St Pauls (2008) 12. K. Wojtyla, “The Problem of the Theory of Morality,” Person and Community Land (1993) 159. JPII, TOB Waldstein DSP (2006) #5,6,7. St. Anthony Messenger, October 1990, pp. 15-19. G. Weigel, “Witness to Hope,” Cliffside Books, (1999) 194. Benedict XVI, General Audience, Wednesday, 8 November 2006.